It’s not about forgiving and forgetting, because in order to forgive, we must remember some things. Today I wanted to circle back, and speak about this very important topic of FORGIVENESS. It’s SO HUGE. Over the past 36 episodes, we’ve gotten very deep as we have slowly, sip by sip, gone deeper and deeper. In EPISODE 34 (not Episode 33) I asked if you were cheating on your DATE. And are you cheating on your life? When I was cheated on, it was a HUGE dagger to my heart and soul. But I remember thinking that I was glad I wasn’t him. Even in that moment it was like I innately knew that forgiving another would be easier than forgiving oneself. If you’ve cheated, ever…it’s time to STOP beating yourself up for it. Let yourself go free. Let yourself BE free. Let yourself out of the cage, and receive healing at a deep, deep, level. If you’re carrying around a lot of CRAP (See yesterday’s EPISODE 35) – yours or someone else’s- stop cheating on yourself by carrying it around with you. What helped me tremendously in my own process of forgiveness, was realizing that I too was not without fault. During my year of “UNFORGIVENESS” I carried around so much HEAVINESS that I went up 3 pant sizes. I gained 15 pounds in less than a month, and I was a mess!! For the first time in my life I had issues with my weight. No matter what I did, I couldn’t get rid of the weight! Then I realized that it wasn’t an issue of needing weight loss, but I needed to release all the HEAVINESS OF “UNFORGIVENESS” that I was carrying . I carried the extra weight for the same amount of time that I carried “UNFORGIVENESS.” I also aged a lot during that year. I didn’t feel well. I was more symptomatic. I got colds more often. Again, I was a mess! I started to look at myself and my own mistakes, and stopped blaming. I started looking inside myself, instead of pointing fingers. I would ask you the same thing. Where have you been at fault, or made mistakes, in your own life? Where have you tried something with great intentions, but things didn’t work out? How could I hold “UNFORGIVENESS” toward someone – expecting that they “shouldn’t” make mistakes – if I have also made mistakes in my own life? The truth is, I don’t believe I was hurt intentionally. Did this make it hurt less? No. But it was helpful to acknowledge while in the process of forgiveness. After a lot of inner heart work, and soul searching, with the help of counselors and coaching…and doing the work…I got to a place in my heart where I could forgive. Then I made the decision to release them, and I did. It was beautiful. However, I still had something going on in my heart that I couldn’t figure out. Then one day it was like the floodgates opened. I realized that although I had forgiven others, I had missed the CRITICAL element of FORGIVENESS. The most important step was forgiving myself! Within a few weeks I had lost the weight. I no longer looked 20 years older than I was. Honestly, it was so life-changing. We have to FORGIVE OURSELVES. 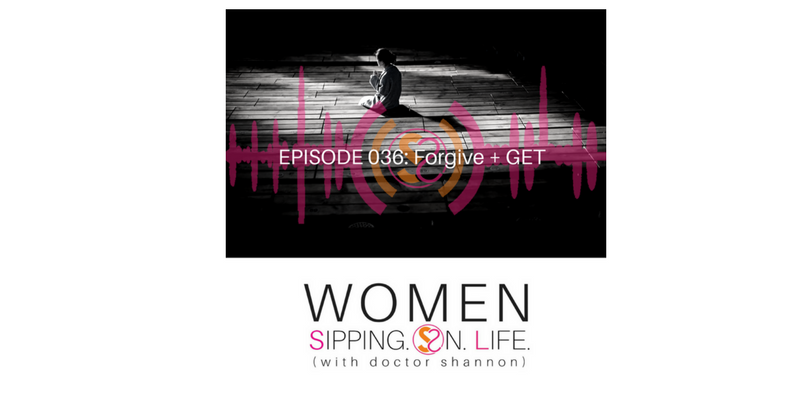 If you’re holding UNFORGIVENESS towards yourself, it’s time to forgive YOU! Only looking at others, and how their actions have harmed us, will keep us from looking at ourselves. People make mistakes. We’ve made mistakes. You’ve made mistakes. Forgiveness is not for them, but for YOU. I understood this, but at first I missed this critical component. It’s not only FOR you, BUT it’s available to YOU for YOURSELF. Over the past 22 years I’ve worked with thousands of people who’ve suffered from chronic illness, including cancer. I’ve seen UNFORGIVENESS as a common denominator. If you’re holding unforgiveness towards anyone, including yourself, today’s the day to set yourself free. We can give others only what we carry ourselves. You can’t love others if you don’t love yourself. Neither can you fully forgive others, if you don’t first forgive yourself. Until you forgive yourself, you’ll carry a residue of the unforgiveness, and all the symptoms that go with it. You must release yourself from it as well. 1. Write down the injustice that you haven’t yet forgiven someone for. 2. Write down the name of the person or people that have harmed or wronged you. 3. Circle it, then write: I FORGIVE MYSELF. 4. Write down what you forgive yourself for. 5. Then write: I FORGIVE THEM. Let yourself, and him/her/them go!! I would love to hear from you. Please come over to WomenSippingOnLife.com, and let me know how you’re doing. You’re not on this journey by yourself.. Yes, you have to do it for yourself, but you don’t have to do it all by yourself. You’re not alone. The process of forgiveness starts now. When you make this vital decision to LET GO. You’ll GET MORE than you ever imagined. You’ll got more than you bargained for. Thanks for listening, and sharing with your friends. Thanks for going to iTunes or Stitcher and giving a rating + review. Let’s continue to experience this incredible adventure of sipping on life together.